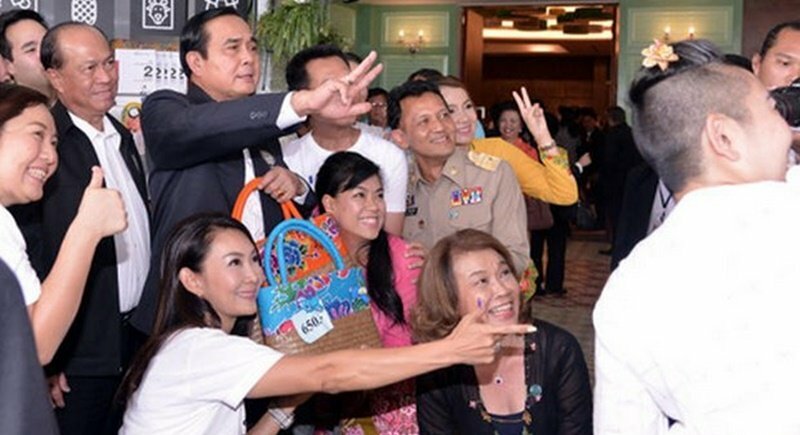 BANGKOK: Prime Minister Prayut Chan-o-cha has denied the government was searching for vengeance in rushing to impose a B35.7 billion fine on former premier Yingluck Shinawatra as payment for losses incurred in the failed rice pledging scheme. Meanwhile, Ms Yingluck hit back at the prime minister, asking Gen Prayut to treat her the same way he has treated his brother Gen Preecha, who is currently under fire over his son’s business. Gen Prayut said yesterday (Sept 25) that the statute of limitation in the compensation case expires in February next year, and said he gave no instruction to any agency to rush the order. “We didn’t bully anyone, nor did we single anyone out. “It is a duty [to proceed with the compensation order] because if the government didn’t do it, we would be held to account for dereliction of power,” Gen Prayut said on his return from New York where he attended the United Nations General Assembly last week. “It’s what is written in the law and we must comply with it,” he said. On Saturday (Sept 24), the committee pursuing civil liabilities against wrongdoers in the state sector announced Ms Yingluck was liable to pay compensation of B35.7bn for her role in the scheme that led to huge losses during the 2013-14 rice crop. The panel did not find her responsible for the losses in the previous years of 2011-12. In a statement declared to the NACC in May, 2015, a year after she left office, Ms Yingluck’s total assets were worth B579mn. Ms Yingluck as prime minister was the highest authority overseeing the national rice policy. The panel, chaired by Manas Jamveha, director-general of the Comptroller-General’s Department, said the 2013-14 rice crop incurred losses of B180bn. Gen Prayut said the government’s duty was to enforce the law governing civil liabilities in the state sector in the Yingluck compensation case. The 1996 law has been applied to more than 5,000 cases so far, he said, adding that decisions in the rice pledging cases will be made by the court. Ms Yingluck is also being tried in the Supreme Court’s Criminal Division for Political Office-Holders and faced impeachment last year in the National Legislative Assembly over her alleged dereliction of duty regarding the rice-pledging policy. In the compensation case, she has the right to appeal to the Administrative Court. If the court upholds the order, however, the Legal Execution Department (LED) will move to seize her assets. “So would someone like to dodge the legal process and let my government take the blame instead?” Gen Prayut said. On her Facebook page, Ms Yingluck wrote that the prime minister should adhere to fairness in her case. “[In] the same way you wish to ensure justice and protect your brother, the law must be exercised without bias against my side,” she said. Ms Yingluck was referring to the 3rd Army Region’s construction projects awarded to a bidding company owned by the son of defence permanent secretary Preecha Chan-o-cha, who is Gen Prayut’s younger brother. A petition has been filed with the National Anti-Corruption Commission alleging a conflict of interest in the company winning military projects with Gen Preecha as defence permanent secretary. Gen Preecha’s wife faces a similar petition to the NACC over the construction of a weir in Chiang Mai allegedly financed by state resources, and which was named after her. Ms Yingluck’s lawyer, Norrawit Larlaeng, said the government was invoking Section 44 of the interim constitution excessively to investigate and punish politicians by authorising the LED to seize assets from them. Writing on Facebook, he said “double-standard justice” was at play. Section 44 was not needed because an existing law permits the LED to perform asset seizures, he said. However, the government’s legal representatives say a civil liabilities investigation had to be established using the special power because Ms Yingluck, as prime minister, is regarded as a state official who must account for the damages she allegedly caused while in office. Mr Norrawit noted it was strange that Gen Prayut will not sign the compensation order, but has instead left it up to his finance minister to endorse it. The lawyer said it is as if Gen Prayut is trying to “protect” himself from any counter-lawsuit in the future. Jirachai Moonthongroy, deputy permanent secretary at the Prime Minister’s Office who chaired the probe into Ms Yingluck’s role in the rice pledging losses, said he respected the Manas committee’s decision to set the damage figure for the former premier at B35.7bn. The Jirachai probe had resolved Ms Yingluck was responsible for losses across four rice crops, from 2011 to 2014, finding she had acknowledged alleged irregularities in the pledging scheme from the beginning but did nothing to stop them. The probe determined Ms Yingluck will have to be fined B286.6bn in compensation. The probe findings were presented to the Manas committee which cut Ms Yingluck’s liabilities to B35.7bn. Mr Jirachai said he trusted Mr Manas is fully able to explain his panel’s reasons to justify such a damages figure. Mr Manas said that after consulting the Auditor-General and the National Anti-Corruption Commission, which investigated irregularities in the case, his committee did not find Ms Yingluck responsible for the losses in the 2011-12 crop.